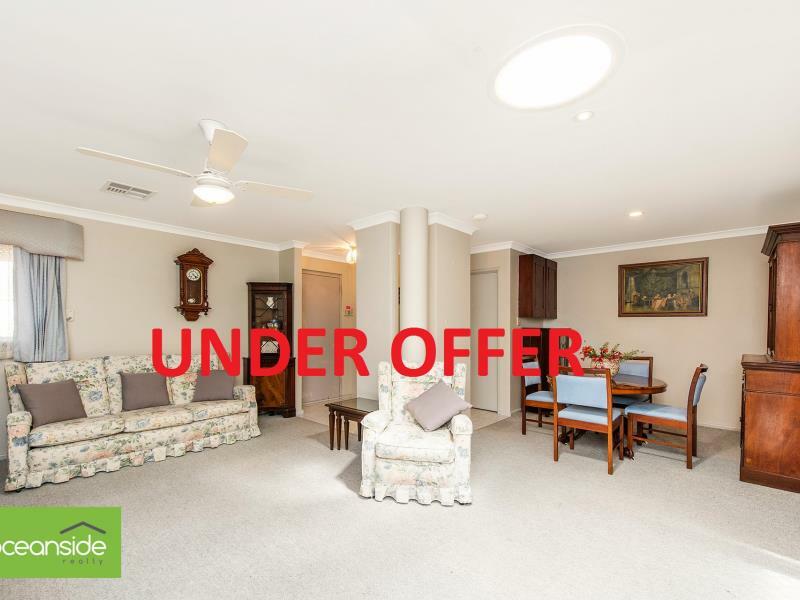 Whether you are looking for a downsizer, lock up and leave or an addition to your investment portfolio be sure not to overlook this cracker of a property. The location speaks for itself, along with being safe and secure in a street that very rarely comes to market. 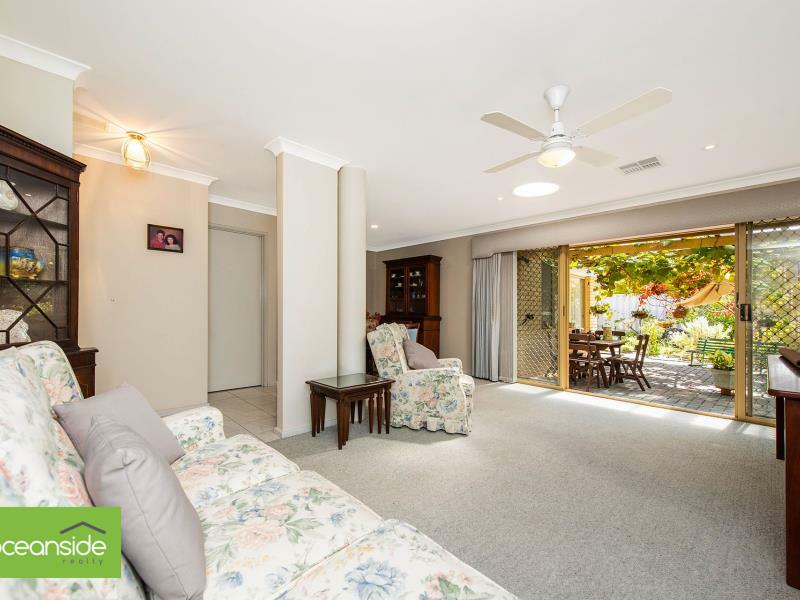 The property is within walking distance to Mullaoo's pristine shoreline, and nestled opposite Mullaloo Beach primary school and nature reserve. Offering 3 Bedrooms, 1 Bathroom and Double Garage. Large open plan formal lounge and dining with double sliding doors leading to the grape vine covered paved entertaining area. Well-appointed kitchen with 3-stall breakfast bar, gas hob, integrated electric oven and pantry. 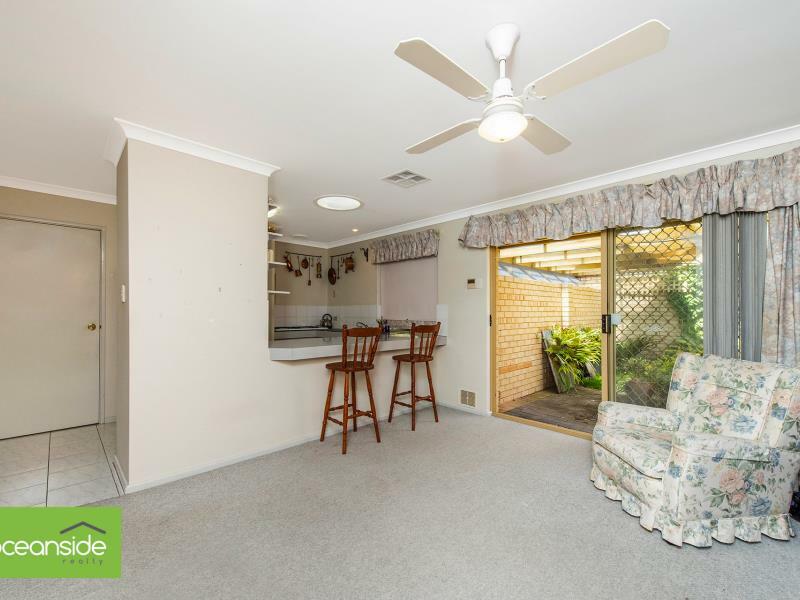 Good sized family living area with sliding doors to an additional private courtyard. Master bedroom with built in robe and sliding access door to rear courtyard. Bedrooms 2 and 3 are both good sizes that include built in robes. Family bathroom with shower and separate bath. Good size laundry with separate toilet and sliding door access to clothesline area. Split system reverse cycle air conditioning. Double garage 1 door works remotely and the other manually. Additional parking off the garage. Easy care low maintenance block approximately 380 sqm in size. Light and bright with neutral colour scheme. Fantastic rarely available whisper quiet location. NO FUSS EASY LOW MAINTENANCE EASY LIVING. Walk to local school and parks.